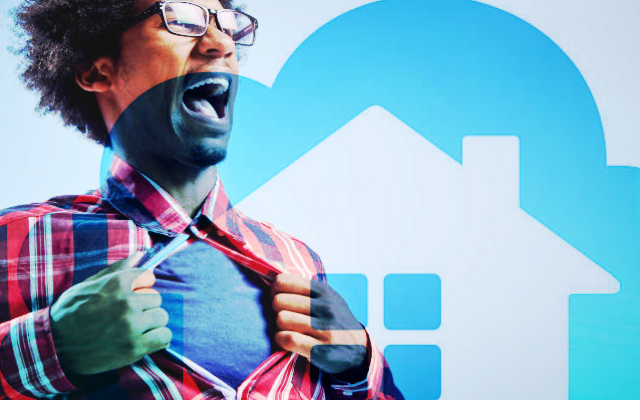 Home security made easier, more interesting and affordable. Keeping our home safe and sound is a challenge we all have. Whether we are in or out of our home, we are always concerned about the safety of our loved ones and our possessions. Finding suitable and effective smart home security can be a challenge with the multitude of options available in the market. We have reviewed a number of these systems with a view to finding a good balance between affordability and effectiveness. We present to you a reliable home security system that meets that criterial – giving you impresive and sophisticated features at remarkably affordable price. 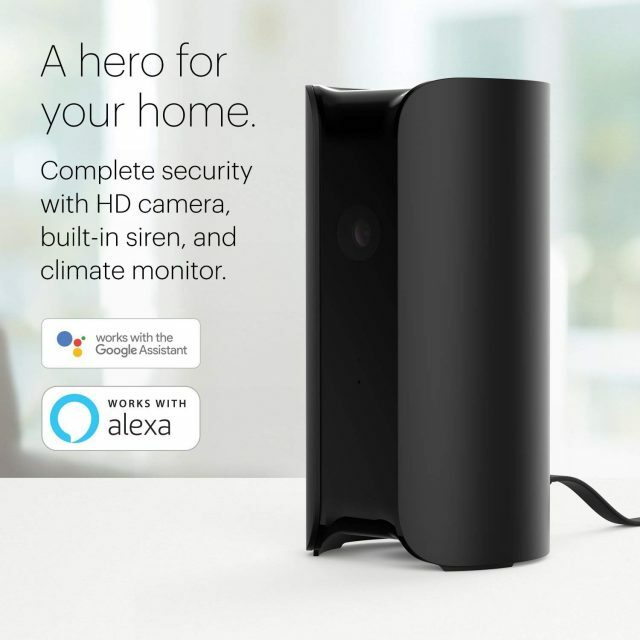 From Canary, comes the All-in-One Home Security System. This is an easy-to-install and simple to use security system that provides adequate security surveillance and monitoring for your home. 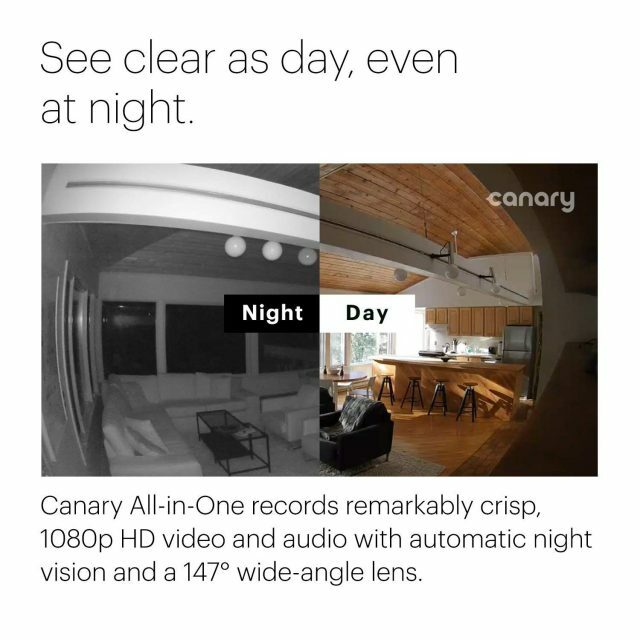 With a 1080p HD camera installed, the Canary Smart Security System gives you clear pictures of events inside your home. Its microphone and speaker provides high-quality, two-way audio conversation. So whether it is your kids, your pets or that intruder, you can hear and talk to them at the same time. 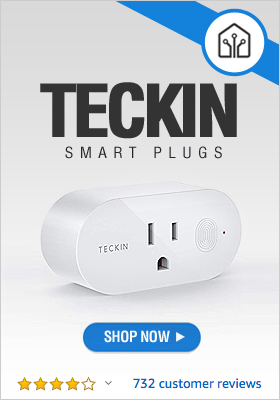 It is motion triggered and sends video recording and alerts to your phone device It has a 90+ decibel siren which can be used to scare away intruders for your home. The siren is activated by one-touch from the phone app. Available in two colors – white and black, it measures 6 inches in height, 3 inches in diameter, and weighs 0.87 pounds. 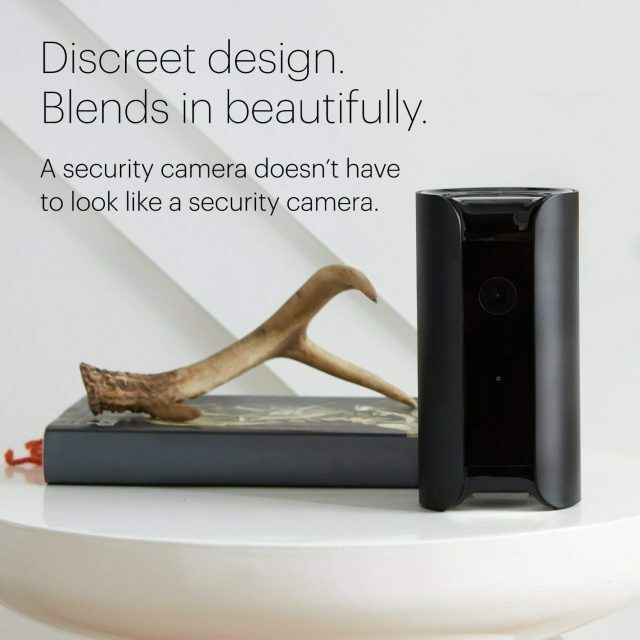 The camera’s beautiful and sleek design allows it to fit snugly with your home decor, camouflaging it from being easily recognized as a camera. While you may use the System with its basic features in the FREE plan, its advanced features are reserved for users with a membership subscription. Installation & Set-Up: Installation is straightforward and easy with no technical knowledge required. Place or install the Canary Security Camera at the desired location, connect it to the internet, download and install the app and you are good to go. Camera: Video and Audio: This cool device comes with a 1080p HD, 147-degree field of view, night vision camera that gives clear videos of your home events day and night. You can watch live streaming from your home and can zoom and pan the video even while watching from the phone app. The microphone and speaker give you high-quality two-way audio in the area where the device is installed. Video and audio recording is triggered by movements. On the FREE plan, recordings are kept for 24 hours but for 30 days if you are on membership contract. AI Technology Arming and Disarming System: The device’s AI Technology learns about your schedule and activities. It observes and learns those periods when you and other family members are at home or out. It has a person-detection feature that allows it to recognize home and family members. You can, of course, choose to set your trigger options manually through the phone app. Security Mode Options Canary All-in-One Home Security System offers you FOUR security modes: 1) Away mode, 2) Home mode, 3) Night Mode, and 4) Private mode. Away Mode is active when there is no recognized family member in your home. In this mode, monitoring is activated and movements are recorded and sent to your mobile device. Home Mode is operational when one or more recognized family member is at home. Night Mode is activated as per settings. Like Away Mode, the system monitors your home, records and forwards any movement to your mobile device. In Privacy Mode, the system’s video and audio monitoring and recording features are temporarily turned off. Mobile Control App: Through the phone app, you receive notifications and alerts, watch live video and audio streaming of events from your home, speak to home members, your pets, monitor your home climate, and contact emergency services if necessary. The app is available on Apple Watch, iOS, and Android devices. The app also gives you a timeline based listing of activities within your home including changes in security modes, recorded videos, and who is home or not. You can share video clips as well as tag or bookmark recorded videos for easy storage and retrieval. 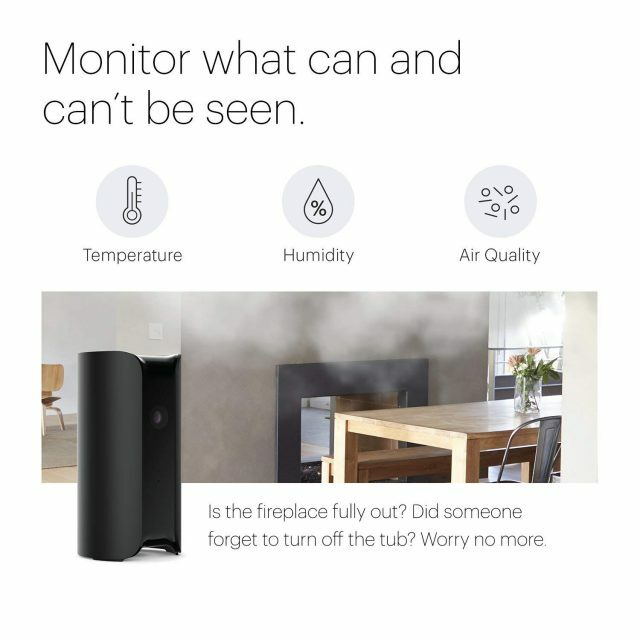 Home Climate Monitoring: The Canary All-in-One Security comes with an interesting home climate monitoring feature that provides you with the temperature, humidity level, and air quality in the immediate vicinity of the device. This feature is particularly useful if you have pets alone at home. It allows you to make sure that the atmosphere at home is comfortable and suitable for them. It can also help in preventing accidents (such as fire) at home. Activity Zones Masking: You can mask out the areas of your camera’s view that you want the system to ignore movements within and not trigger the alarm. It is useful for areas like the dog hatch, your pet play area, or views from public areas. 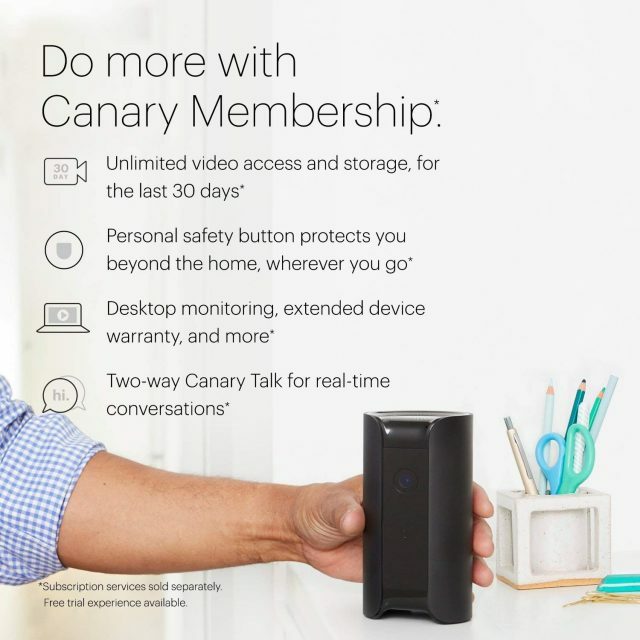 Insurance Benefits: Canary has partnered with some top insurance providers enabling you to receive discounts and savings on insurance in homes where a Canary Home Security System is installed. Pricing: The Canary Home Security System sells for $69 (under 2-year membership), $119 (under 1-year membership), and $169 (under the FREE plan). Some of the system’s advanced features is limited to the membership plan. On the FREE plan, you can connect up to FOUR devices but with limited features. Membership is offered at $9.99 per month (or $99 per year). When you are on the membership plan, you can connect up to 5 devices and have access to all the features of the system. Canary also offers you three packages for setting up your home security: a Starter Pack, an Outdoor Security Pack, and a Total Home Pack. Prices for these packs vary depending on whether you opt for the FREE plan, 1-year or 2-year membership plan. The Canary All-in-One Home Security System is not your basic, ordinary home security system. It is designed to give you sophisticated, functioning features at a reasonable price. The discounts on its packages and savings when you subscribe for one- or two-year membership makes it the best option you can get in setting up a full home security system. •	Simple installation and easy to use. •	Auto-arming and Disarming feature. •	Home climate monitoring feature. •	No hubs required for connecting to Wi-Fi. •	90+ decibel siren to scare intruders. •	Limited features on FREE plan. •	No support for home automation devices. Get Your Canary All in One Security Device Now! With a 1080p HD camera installed, the device gives you clear pictures of events inside your home. Its microphone and speaker provides high-quality, two-way audio conversation. So whether it is your kids, your pets or that intruder, you can hear and talk to them at the same time. It is motion triggered and sends video recording and alerts to your phone device. It has a 90+ decibel siren which can be used to scare away intruders for your home. The siren is activated by one-touch from the phone app. Installation & Set-Up: Installation is straightforward and easy with no technical knowledge required. Place or install the camera at the desired location, connect it to the internet, download and install the app and you are good to go. 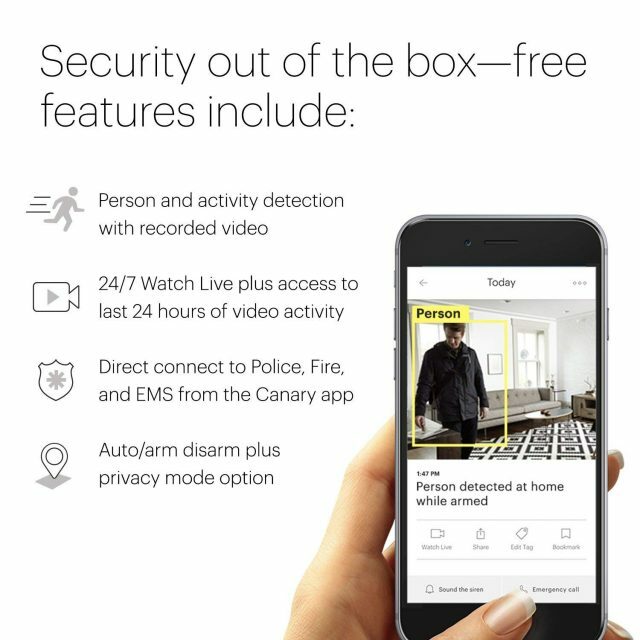 Pricing: The Canary All-in-One Home Security System sells for $69 (under 2-year membership), $119 (under 1-year membership), and $169 (under the FREE plan). Some of the system’s advanced features is limited to the membership plan.